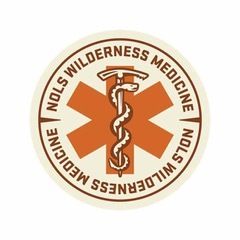 Crossing Latitudes is proud to sponsor NOLS Wilderness Medicine Wilderness Medicine courses all over the US, Scandinavia and Europe. Learning takes of course place both in the classroom and in outdoor settings regardless of weather conditions. Come prepared for wet, muddy, cold or hot environments. If you guide for a living – these skills are a must! WFA = Wilderness First Aid 16-24 hours. Courses taught in Swedish, Finnish or English. 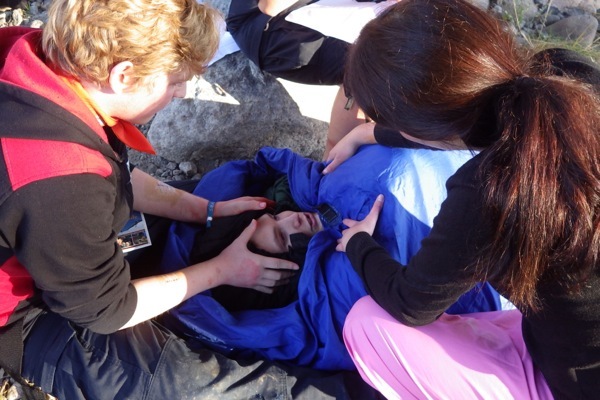 WAFA = Wilderness Advanced First Aid 40 hours. Courses taught in Swedish or English. WFR = Wilderness First Responder 80 hours. Courses taught in English. WFR-R = Wilderness First Responder Refresher 24 hours. Courses taught in English. WEMT = Wilderness Emergency Medical Technician 200 hours. WEMT courses are not taught in Europe. 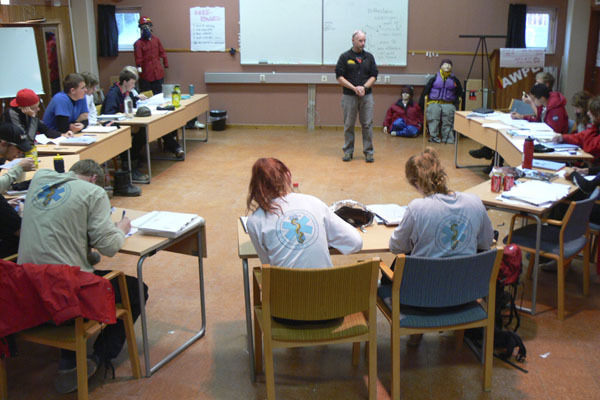 NOLS Wilderness Medicine has trained more than 200,000 students around the world. Each graduate is empowered to act with confidence in emergency situations. 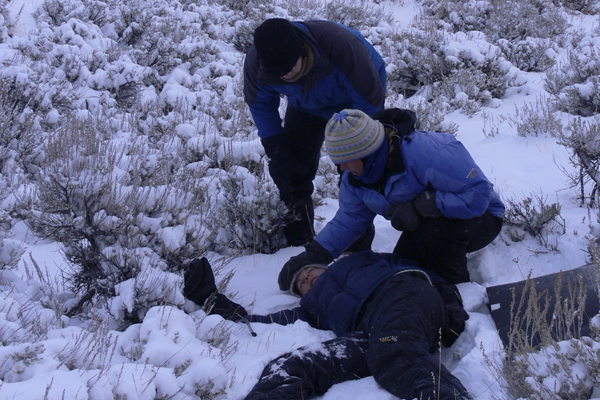 NOLS Wilderness Medicine defines the standards in wilderness medicine training. The goal is to provide the highest quality education and information for the recognition, treatment, and prevention of wilderness emergencies. The NOLS Wilderness Medicine curriculum focuses on medicine for times when resources are scarce, there is no help on the way, and you have to make your own decisions. 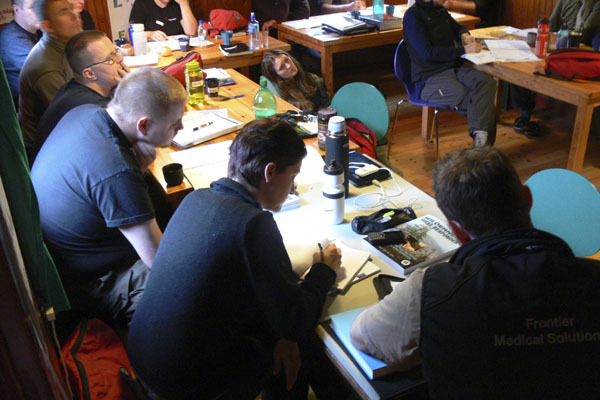 Crossing Latitudes is hosting NOLS Wilderness Medicine courses around the world. 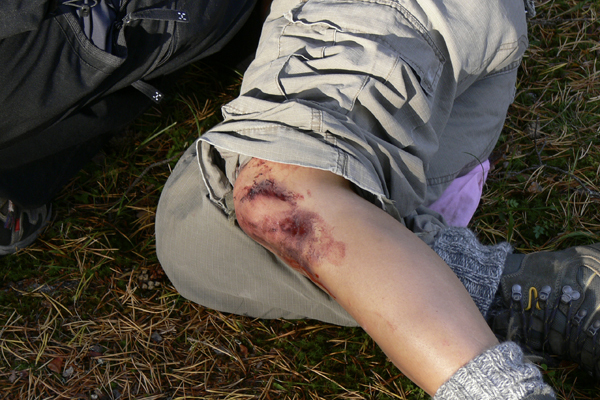 All the first aid courses are taught by trained NOLS Wilderness Medicine instructors. 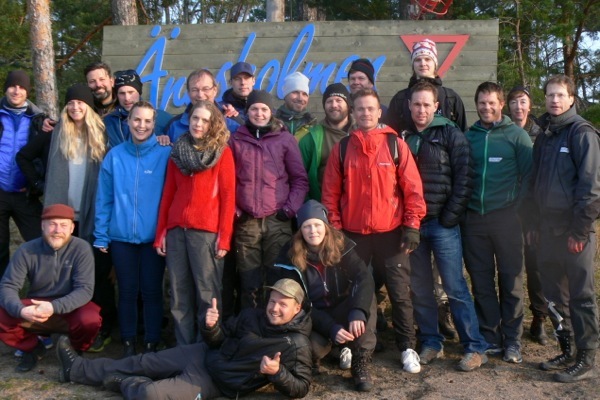 In Scandinavia we have taught NOLS Wilderness Medicine courses since year 2000. 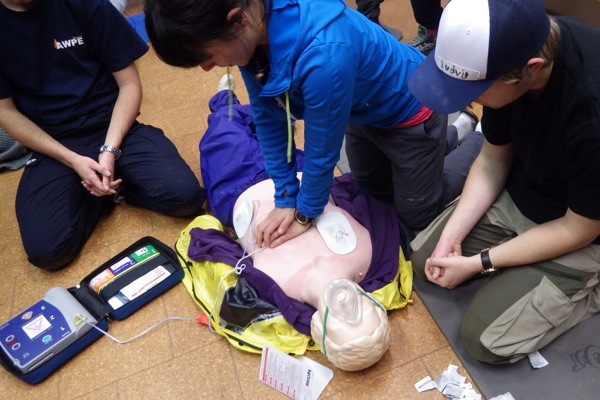 Over 3000 participants have taken a Crossing Latitudes sponsored NOLS first aid courses. Many of our first aid courses are booked by universities, outdoor educational programs, outdoor adventure organizations and scout groups. Each year we also teach several courses open to the public. Any one can take a NOLS Wilderness Medicine course. 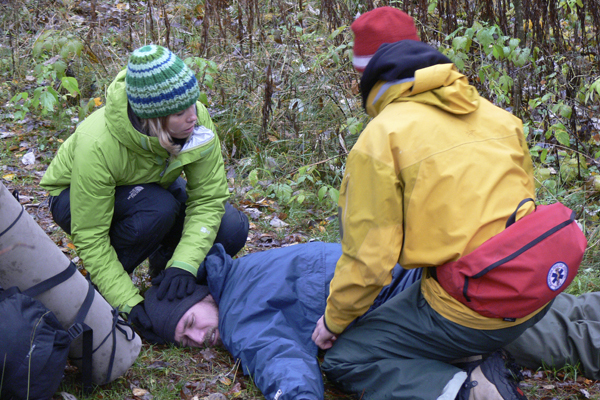 Wilderness First Aid (WFA) courses will help you prepare for the unexpected. This fast paced, hands-on training is designed to meet the needs of trip leaders, camp staff, outdoor enthusiasts and individuals working in remote locations. It will introduce you to caring for people who become ill or injured far from definitive medical care. Classroom lectures and demonstrations are combined with realistic scenarios where mock patients will challenge you to integrate your learning. At the end of the course, you’ll have the knowledge, skills and ability to make sound decisions in emergency situations. We have climbers, trekkers, paddlers, blueberry-pickers, parents, sailors, teachers, outdoor guides, scout leaders, fishermen and hunters – all learning about how to care for an injured or sick friend. 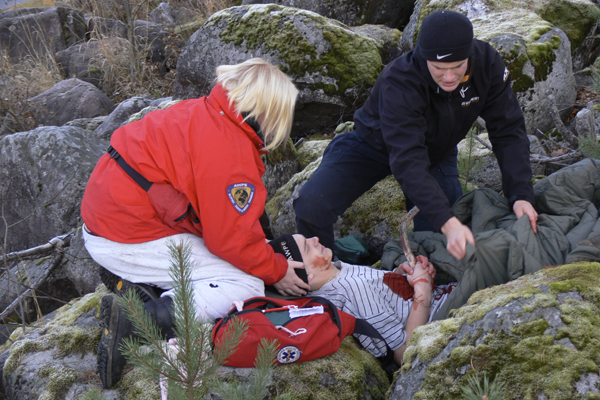 Wilderness First Aid is different from the Red Cross or urban first aid. Focus is on initial and prolonged care for a patient in the back country. 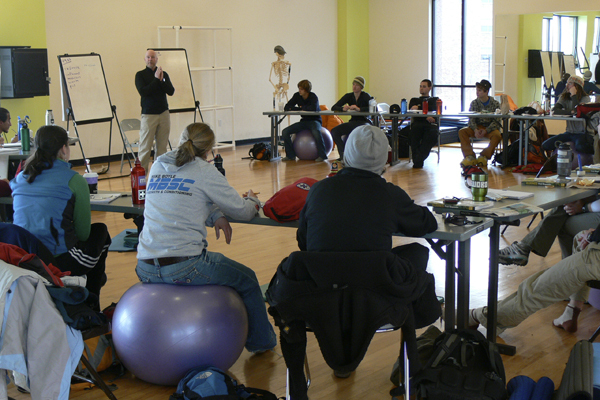 NOLS Wilderness Medicine is internationally recognized as the leading school teaching wilderness first aid. The WFA courses are usually 16-24 hours. 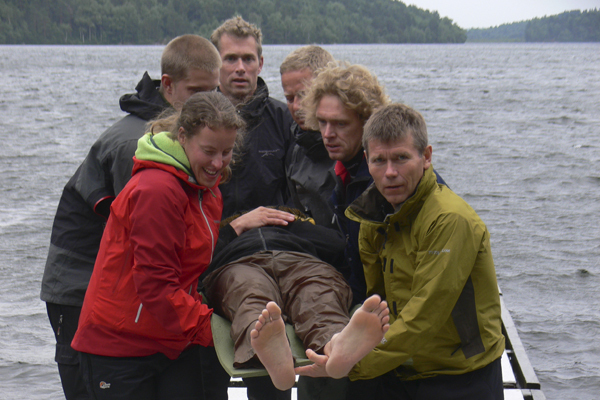 CPR is not included in the 2 day courses in the US but always included in the 3 day courses in Scandinavia and Europe. A WFA course can be taught in either Swedish, Finnish or in English. 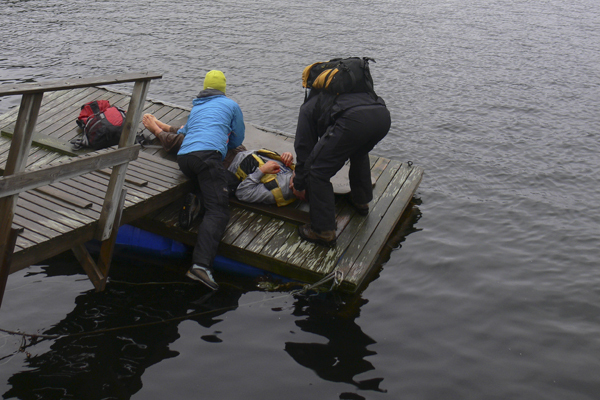 Wilderness Advanced First Aid (WAFA) courses are designed for trip leaders and those traveling or working in remote areas who need a more extensive training program than the Wilderness First Aid course. 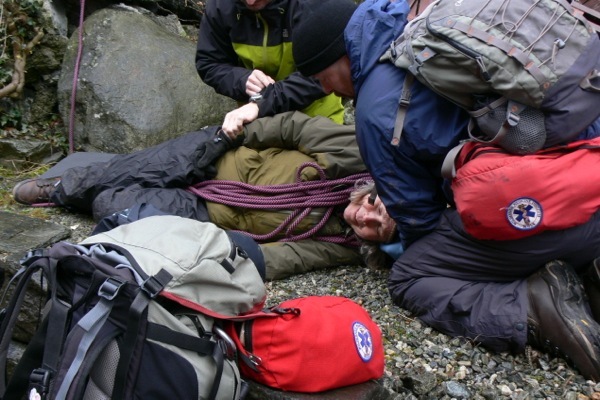 This 5-day course focuses on stabilization, treatment and evacuation guidelines for patients in backcountry environments. Emphasis is placed on long term patient care management and specific injury evaluation. 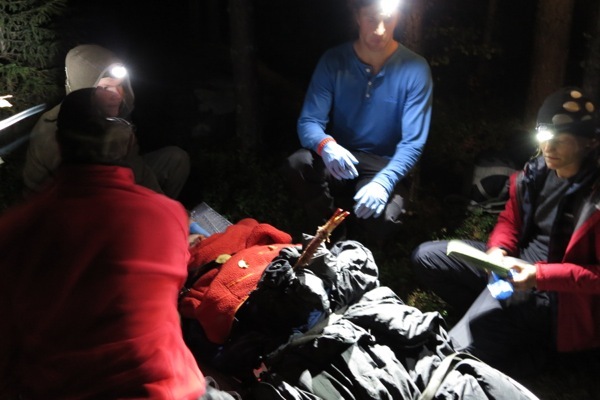 A Wilderness Advanced First Aid course is 40 hours long (5 days) and most often includes a night scenario. In order to receive a WAFA certification you need to pass both written and a practical test. A WAFA course can be taught in both Swedish or English. 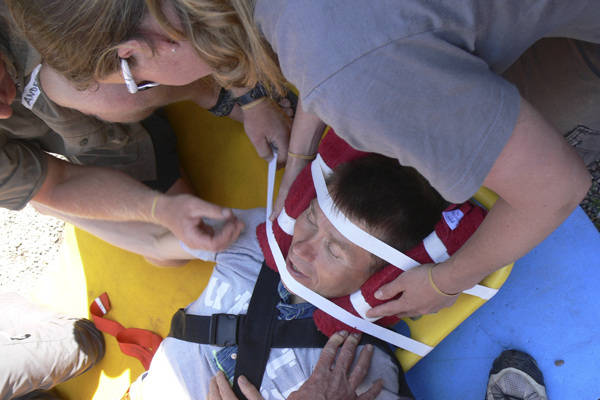 Wilderness First Responder (WFR) courses are designed specifically to provide Outdoor Guides with the tools to make critical medical and evacuation decisions in remote locations. Half of your time will be spent completing practical skills, case studies and scenarios designed to challenge your decision making abilities. 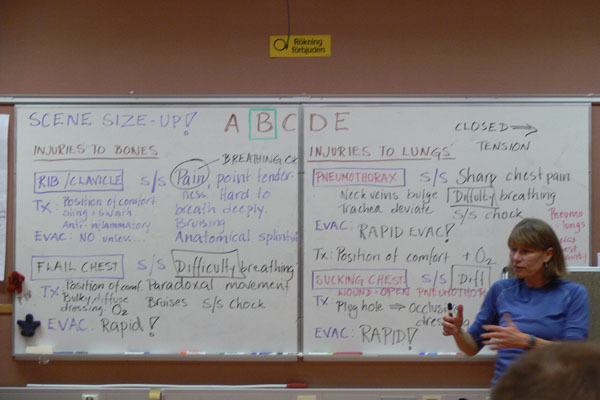 Adult CPR is included in these courses. Our WFR curriculum is internationally recognized. 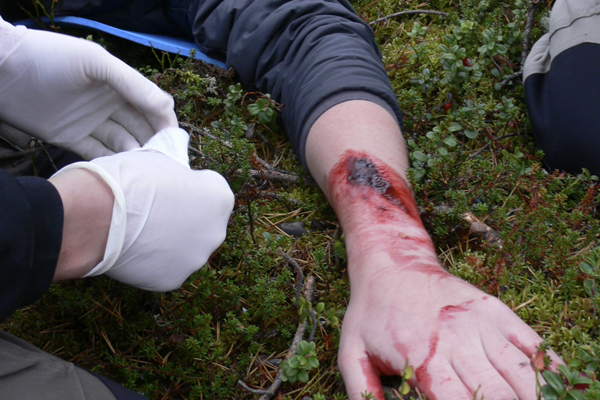 The Wilderness Medicine is the leader in wilderness medicine education. Our goal is to provide the highest quality education and information for the recognition, treatment, and prevention of wilderness emergencies. The WFR courses taught in Scandinavia is truly international as we tent to get participants from all over Europe and North America as well. WFR courses are always taught in English. A Wilderness First Responder course is 80 hours long (10-11 days) and always includes some bigger scenarios as well as a night scenario. In order to receive a WFR certification you need to pass both written and a practical test. Wilderness First Responder (WFR) courses are for folks with a WFR or WAFA and need to recertify. You don’t have to be a NOLS Wilderness Medicine grad to take these courses. We welcome participants with certifications from SOLO, WMA, Aerie, Remote Medical or any other group. All our courses 50% are hands-on practice. We set up realistic scenarios with. You get to be both “patient” and the “rescuer”. 50% of our time is lecture, demonstrations and discussions. We try to spend a lot of time outside – no matter what the weather is like – but we also have an indoor class room. 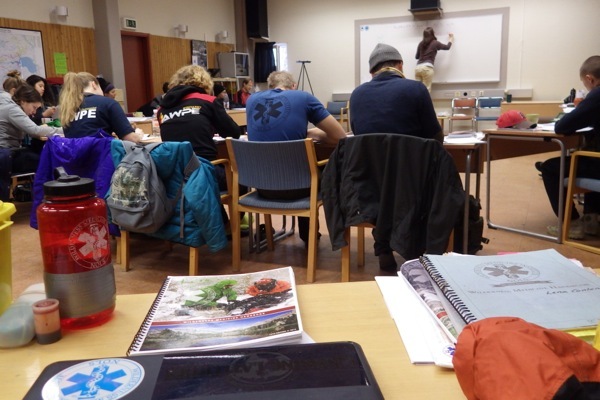 Crossing Latitudes have sponsored NOLS Wilderness Medicine courses in USA, England, Ireland, Germany, Sweden, Finland, Denmark, Norway, Italy, Switzerland and Nepal. If you are interested in a NOLS Wilderness Medicine course please contact us and we will try to set one up. We host about 20-25 courses a year in Europe and several courses in the USA. On NOLS Wilderness Medicine website you will find not only the Crossing Latitudes sponsored courses but all courses NOLS Wilderness Medicine offer around the world. 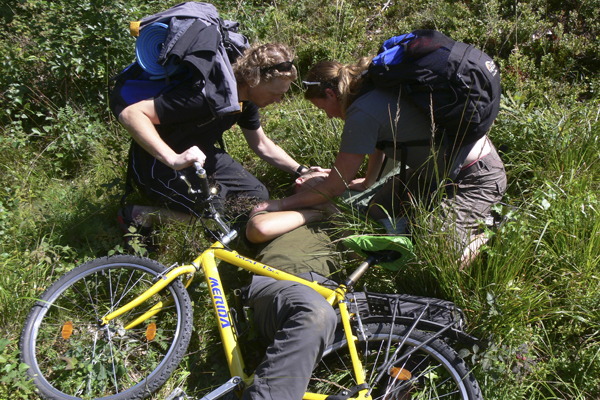 Wilderness First Aid Guide, Course hand-outs, first aid materials, outdoor equipment and NOLS Wilderness Medicine two year long international certification is included in the course price. Call or email us for detailed Course Descriptions. We promise you will have fun and laugh a lot while learning really important skills!